Once upon a time, I met Bear. 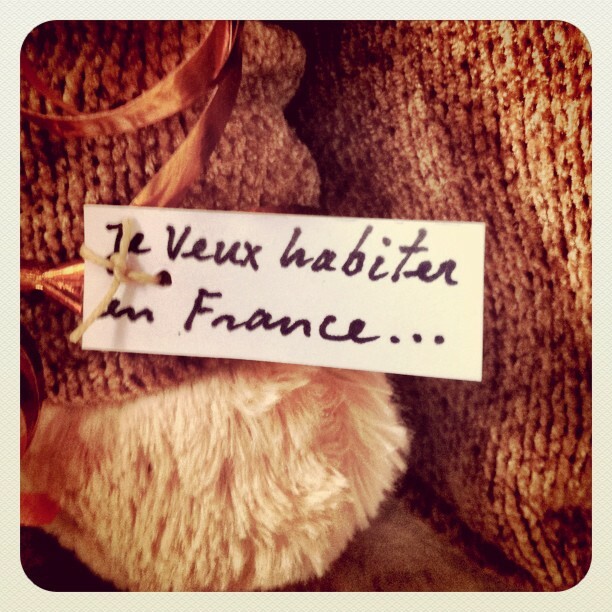 He was sitting on my brother’s sofa, wearing a ribbon around his wrist with a message saying « Je veux habiter en France”. In fact Bear was my birthday present from my brother. He found Bear in a secondhand shop and thought I would like him. In the past we already made a picture story staring a little bear and a rabbit. We had a lot of fun shooting the little stuffed animals in all kind of “dangerous” or nice situations. Would this happen again with Bear? He was bigger and very amazing. In fact today I wonder if I didn’t fall in love with him on the first sight. The day after I met Bear, we went sailing. Just for fun, I took Bear on board and made some snapshots with my Iphone wich I published later that day, via Instagram on Twitter and my Flickr account. And that’s how, at the age of 55, I find myself back carrying around a stuffed very intelligent looking bear, every day ever since. Usually he is hidden in a bag. At any moment I see the scenery of a snapshot with Bear. Today after only one month, I have edited some 100 pictures. They are organized in the Flickr Bear Album. Bear has become popular on the Internet. Oh, not as popular as the big stars, but still quite famous for a little stuffed Bear. I don’t know anything about Bear’s life, from before he ended up in the secondhand store. He is sometimes cocky but also wise and intelligent. His questions can be amazing. We think he has a memory loss, while we have to explain so many things. We have no idea how old he is. Ha Matinke, wat een mooie blog, prachtig, ik wacht op het volgende. Hoe maak je die mooie foto’s? altijd mooi weer bij jullie? Dag Sonja! We zagen dat je bear volgt. Hij zal zijn best doen om leuke verhaaltjes te brengen. Vandaag was het een regendag. Dus deden we leuke dingen binnenshuis. Répondre à martinke Annuler la réponse.